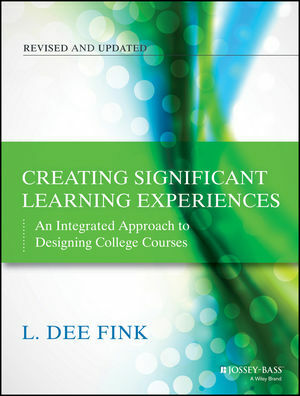 Since the original publication of L. Dee Fink's Creating Significant Learning Experiences, higher education has continued to move in two opposite directions: more institutions encourage faculty to focus on research, obtaining grants, and publishing, while accreditation agencies, policy-makers, and students themselves emphasize the need for greater attention to the quality of teaching and learning. Now the author has updated his bestselling classic, providing busy faculty with invaluable conceptual and procedural tools for instructional design. Step by step, Fink shows how to use a taxonomy of significant learning and systematically combine the best research-based practices for learning-centered teaching with a teaching strategy in a way that results in powerful learning experiences. L. Dee Fink has been an instructional consultant for more than thirty years. A former president of the Professional and Organizational Development Network in Higher Education (POD), he consults on the topics of faculty development and integrated course design at two- and four-year colleges and accrediting associations around the world.